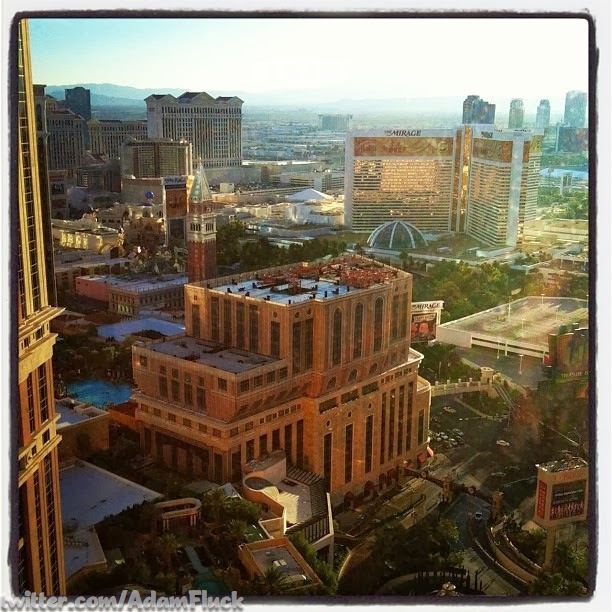 This weeks winner is @AdamFluck’s picture of the faux St Regius Tower @Venetian as well as the Mirage and Caesars Palace from his room @Palazzo. It’s a really unique, cool view of Vegas in what looks like the early morning. It also highlights what a really great job that wrap does at disguising that incomplete project. So many enormous, beautiful things in Vegas and this is another example of how you can see something a hundred times and still not see it at every angle.